Is there a chronograph "Standard Method"? 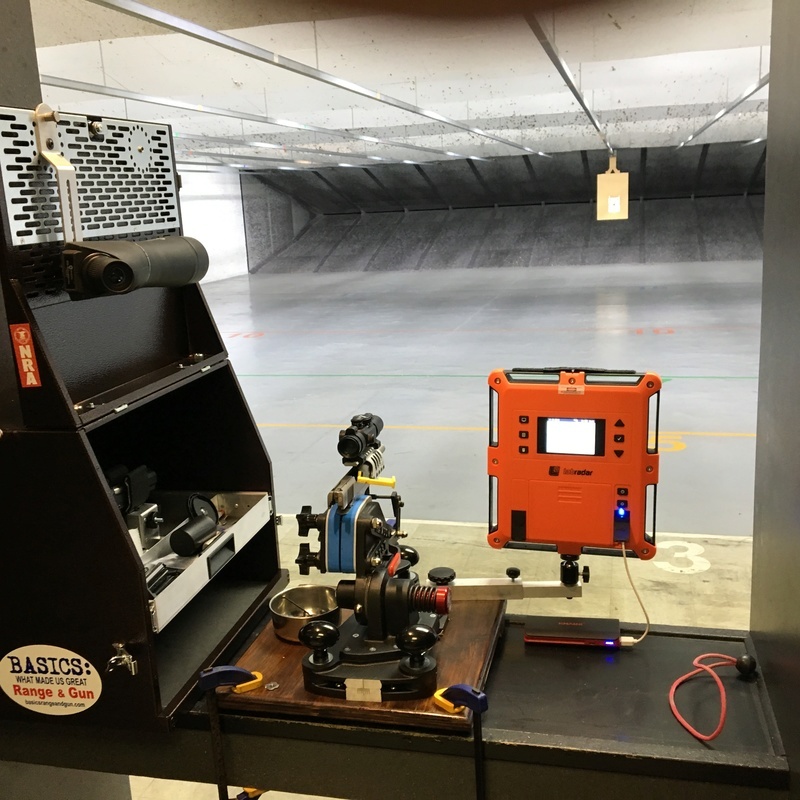 I have been able to use our range chronograph to test some loads and it has been informative. My question is relating to method of data collection. Is there a "standard method" for recording data? In the same way groups are measured in 5-shot or 10-shot groups, what is an acceptable sample size through the chrono? One shot is not enough. Ten shots seems to give you good info. 100 shots might be give you too much data and skew your results because a single round is exceptionally high or low due to reloading error, after all you dont use 100 round targets to generate shot groupings. What about waiting for the pistol to cool down or shooting too fast and heating the pistol up, etc? Does that come into play? I know how to operate the chrono and generate averages and spreads and deviations and such. Just curious about finding a preferred methodology when chronographing. Re: Is there a chronograph "Standard Method"? Same as for group shooting. Multiple groups of 10 or two strings of 15 or so. The common recommendation is 10 feet from the muzzle, 10 shot groups (my Chrony only calculates 10 shot groups). The most important thing is that you are consistent in your method. I've seen a fair bit of variability in 10 shot group statistics. I think 20-30 is better and I get more consistent results. I don't worry about barrel temperature especially if I am only testing velocity. I shoot my standard load for 20-30 shots before moving on to other loads that I want to test then shoot at a relatively leisurely pace, but faster than an outdoor match with scoring between targets. Chrono results don't mean a lot to pistol ammo. You will probably find that all the accurate loads with a particular bullet and gun will be around the same velocity so that can be used as a starting point when using a new powder. I have seen changes in primers and crimp have a significant difference in standard deviation without seeing a measurable difference in group size. Thanks guys. I wanted to just check my reloads and see if they were performing as expected and consistently. It turns out they were a lot slower than expected. I made a few changes on the reloading machine to the case dimensions (.001" tighter crimp and set bullet .010" deeper) and tweaked the load a tenth or so. I went back for session 2 with the factory match ammo I was trying to duplicate as a baseline. It turns out my ammo performs at the correct specs now while their ammo is a bit hotter than advertised. My ammo also performs as consistently as the factory ammo. Using another iPhone based app in the garage, I also found that one of my air pistols that I always suspected shot slow does indeed shoot about 20% slower than it should. I am just finding it a handy tool for diagnosing some things and trying to find an acceptable level of consistency in the performance. There is less deviation when you only fire one shot. Close enough for Bullseye. I shoot 10 rounds beside the chrono and five 5 shot groups with two of those being the chrono shots. I know before anyone says it that it would tell more at 50 yards, but the LL at the outdoor range has a bench like a spring board. If I get a one hole group at 20 yards indoors I suspect the load will shoot Xs at 25. I can then test the group with my HySkore rest at 50. Magload wrote: I shoot 10 rounds beside the chrono and five 5 shot groups with two of those being the chrono shots. I know before anyone says it that it would tell more at 50 yards, but the LL at the outdoor range has a bench like a spring board. If I get a one hole group at 20 yards indoors I suspect the load will shoot Xs at 25. I can then test the group with my HySkore rest at 50. Great looking indoor range! Top equipment. You're a lucky duck! What kind of chrono is that Don? willnewton wrote: What kind of chrono is that Don?